Rockingham Golf Club has enjoyed “overwhelming” success after launching its ‘Give Golf A Go’ programme to grow the game among women in the region. The six-clinic programme, which was run on Monday mornings, was oversubscribed after funding from the WA Golf Foundation helped to kick-start the drive. A total of 45 women signed up for the clinics, from university students to young mums and retirees, under the guidance of newly-graduated PGA trainee Travis Lord. 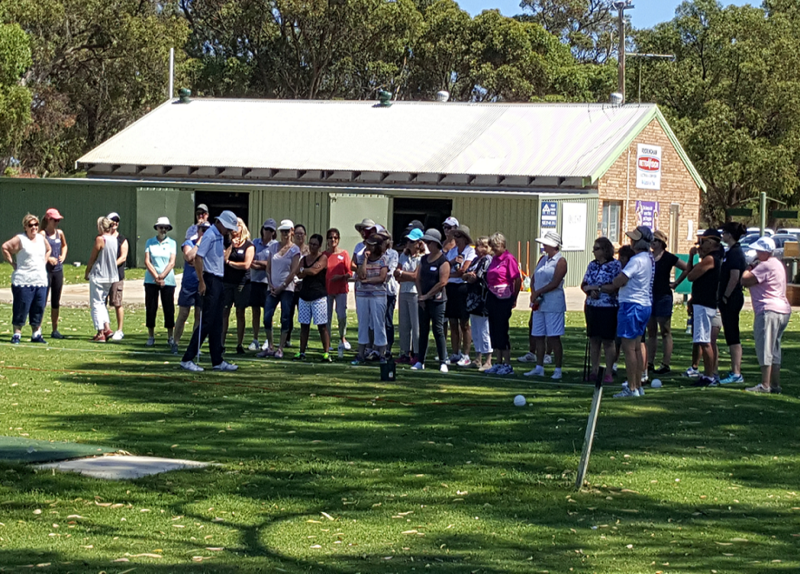 They proved an instant hit with 75 per cent of the female golfers returning for the second round of clinics, which began on Monday this week, while some women have also signed up for trial membership. “We were overwhelmed by the number of women who signed up to the clinics,” said Heather Atchison, who was part of a committee led by ladies captain Margie Harris, which was tasked with increasing the number of female golfers at the club. “So many ladies signed up that we had to run two clinics on a Monday instead of the one that we planned. The clinics also provided valuable feedback for Rockingham GC with the women involved filling out a survey after the programme. One of the key findings was that the women were alerted to the clinics via adverts in the local newspaper. “We couldn’t have done that advertising without the WAGF funding,” Atchison added. “The cost associated with those ads is quite high and when we applied for funding back in October last year this proved vital in the success because most of the respondents on the survey said the ad was eye-catching and that’s how they heard about the clinics. “From there it was a case of word of mouth. Once the women started the clinics they said they were blown away by how friendly the club was. The six clinics were primarily targeted at beginners – although some of the women had clearly played before – with an introductory cost of $30, which included an afternoon tea with wine, cheese, cakes and sandwiches. And while the social element was singled out as a key part of the programme’s success, the coaching from Lord was also rated highly. Lord graduated from Pinjarra GC last year and these were his first clinics as a PGA professional. He was described as “personable and a delightful gentleman” and his hard work enabled Rockingham to immediately follow-up on the momentum gained to provide more clinics. Details on the new one-hour sessions, can be found on the Rockingham GC website or you can get in contact with the club via the details below.